Market access for specialist medicines in the UK: the Price is Right? A recent pharmaphorum webinar brought four experts together to discuss the future of market access for specialist medicines in the UK. IMS Health’s Angela McFarlane, Shire’s Alan Kane, the Cystic Fibrosis Trust’s Nick Medhurst and NHS England’s Malcolm Qualie shared their expert views on the way ahead. For pharmaceutical companies launching a new specialist medicine in 2015/16 gaining access to the UK market can be a hugely complex and confusing task. The bad news is that this complex and fragmented UK market isn’t going to be simplified any time soon. In addition, ongoing pressure on NHS budgets means funding for new drug treatments will be tightly controlled. But there is some good news – the UK is looking for ways to accommodate the needs of pharma, alongside those of the NHS and of patients. A forthcoming comprehensive Accelerated Access review aims to join up all the disconnected parts of the system. And, most importantly, new medicines which can truly demonstrate an advance in outcomes for patients will almost certainly find a place in the market. This is the landscape covered in the pharmaphorum webinar held in December last year, with four experts contributing their views: Angela McFarlane, Senior Principal IMS Health, Local Market Access; Alan Kane, head of Market Access & External Affairs, Shire Pharmaceuticals (UK & Ireland); Nick Medhurst, Policy Manager, Cystic Fibrosis Trust and Malcolm Qualie, Pharmacy Lead for Specialised Services, NHS England. There is no doubt that the pharma and biotech sectors have produced some remarkable new medicines in the last few years, and ones which have genuinely advanced treatment – often in rare diseases, or for sub-sets of patients within certain cancer types, for instance. The arrival of these new medicines in the UK has coincided with the biggest ever reorganisation of the health service in England, which has created new complexity for companies seeking access to the market for their drugs. A striking illustration of this is the story of five ground-breaking new drugs launched over the last three years. Vertex’s Kalydeco (ivacaftor) is a new highly effective treatment for a sub-set of cystic fibrosis patients launched in 2013 – this gained market access through NHS England, the newly formed board overseeing budgets for specialist drugs. Then in February 2014, Roche’s new breast cancer treatment Kadcyla (trastuzumab emtansine) was approved for use via England’s dedicated Cancer Drugs Fund. Gilead’s Sovaldi (sofosbuvir) the first treatment to offer a cure for hepatitis C was also launched in 2014. In August it gained approval (preliminary, now confirmed) in England via NICE. Then in September 2014, Alexion’s rare disease treatment Soliris (eculizumab) was the first drug approved through NICE’s new Highly Specialised Technologies Committee. And finally, in March this year, Merck Sharp & Dohme’s (MSD) new immunotherapy cancer treatment pembrolizumab (Keytruda) became the first drug to gain accelerated marketing approval through the UK’s own fast-track system, the early access to medicines scheme (EAMS). Five ground-breaking drugs then, which successfully achieved market access – via five different routes. Strictly speaking the new EAMS system is a regulatory approval, not a reimbursement decision, but these examples nevertheless illustrate the complexity of the market, and its continual evolution. What is remarkable is that this is not an exhaustive list of routes to market. It is also needs to be pointed out that just one route is UK-wide (EAMS), while NICE is officially England-only, but is also adopted in Wales. NHS England and the Cancer Drugs Fund (CDF) apply to England only, with Wales, Scotland and Northern Ireland having their own mechanisms, such as the Scottish Medicines Consortium and the All Wales Medicines Strategy Group (AWMSG). NHS England’s Malcolm Qualie is the Pharmacy Lead for Specialised Services, NHS England. He says the ageing population, increasing incidence of chronic diseases and budget constraints are all putting pressure on NHS budgets – even before you factor in a whole new generation of drugs for rare diseases and niche indications. NHS England only came into being in April 2013, and has had to find its feet and mature as an organisation while grappling with some very difficult decisions. Nevertheless, he says that the picture has improved from a few years ago, when NICE was the only route to market. Qualie suggests Kalydeco and Soliris would both have not been reimbursed without NHS England or NICE’s new Highly Specialised Technologies Committee. He stresses that NHS England doesn’t examine only the drug’s cost, but the wider evidence of patient benefits. Qualie says that many drugs are coming to market with scant evidence of measurable benefits: this means the pharma industry has to “come with a convincing story” about the drug’s value. 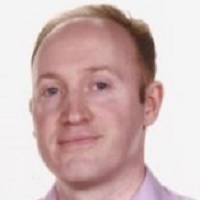 Alan Kane is head of Market Access & External Affairs, Shire Pharmaceuticals (UK & Ireland), and has many years of experience of dealing with the UK mechanisms. He says the UK has historically provided ‘quite slow’ access for specialist medicines compared with some other EU countries. And within the UK, there has been considerable variation between decisions made by NICE in England, Scotland’s SMC and the All Wales Medicines Strategy Group Appraisals – plus the newest arrival, NHS England. “It now appears to be a very complex environment for a company bringing a new or existing orphan medicine or ultra-orphan technology to the market, particularly in England,” he points out. Alan Kane counts seven different formal routes to access for medicine in England. NICE alone provides three routes – the multiple and the single technology appraisal processes, and the new process for highly specialised treatments (HST). Medicines not appraised by NICE will be reviewed by NHS England, which has four routes to access: the CRG route, CDF, individual funding requests and Commissioning through Evaluation. Alan Kane says there are [an estimated] 68 orphan drugs by indication available in the UK, but these have been reviewed differently by different decision-makers across the UK. Furthermore, some products never get reviewed by these health technology assessment (HTA) bodies, which means there is a gap which must be filled by other regional/local decision makers. He adds that the key point is that orphan drugs are more frequently ‘not recommended’ than those in non-orphan disease products. Angela McFarlane from IMS Health has 15 years of working in market access, and has seen many new NHS decision-making bodies come and go over that period. The latest and most significant is NHS England, which had a budget of £95.6 billion in 2013/14. Within this overall budget, £65.6 billion was given to CCGs and local authorities to commission local health services. The rest of the budget amounts to £25.4 billion, and is split between NHS England’s £13.8 billion commissioning of specialised healthcare, and a further £11.6 billion spent on primary care, military and offender services. NHS England is the first body to commission specialist care for the whole of England, rather than this care being overseen by regional authorities. The potential is therefore for specialist care and drugs to be provided more consistently across the country. Each specialist therapy area is overseen by a specialist Clinical Reference Group (CRG) within NHS England. However Angela McFarlane says pharma companies are still finding these new bodies difficult to navigate and communicate with. McFarlane says the wave of new specialised drugs, and this severely squeezed budget, is of immense concern for 2015 and beyond. She compares the problem to a juggernaut approaching at speed. One very notable success story in terms of market access via NHS England is Vertex’s Kalydeco. The drug is the first disease modifying treatment for cystic fibrosis (CF), and was the very first drug appraised by NHS England’s specialist commissioning process. Despite its high cost, NHS England was persuaded that it provided significant clinical benefits to CF patients with the G551D mutation, and approved its funding in time for its UK launch. Angela McFarlane, who was involved in the process, says it was an example of ‘market access excellence’ as a timely decision was secured, and for all eligible patients in England – a total of just 350 people with the G551D mutation. The Cystic Fibrosis Trust’s Nick Medhurst says Kalydeco has been widely hailed as ‘transformational’. He says clinical trial data shows these patients typically see significant improvements in lung function (FEV1 score), have fewer hospitalisation episodes, gain weight and experience dramatic improvements in quality of life. Set against this is the high list price – £180,000 per patient per year, and that it must be taken for the rest of the individual’s life. What’s more, Kalydeco is now gaining extra licences for use in other CF sub-groups, meaning potentially more demand on the NHS budget. While Nick Medhurst is excited about the benefits of Kalydeco and future drug developments, he warns that price will be a recurrent issue. In terms of proving a drug’s value, rare diseases present major problems in terms of recruiting patients and producing data compatible with the health economic methods (incremental cost effectiveness ratios based on QALYS) used by NICE for non-rare diseases. Much of the benefit of rare disease drugs will only become apparent from long-term data, through pharmacovigilance projects. The Cystic Fibrosis Trust hosts and administers the UK’s CF Registry, with over 90 per cent coverage of complete patient data. Through the registry, they hope to be able to create better, more streamlined and cheaper clinical trials, says Medhurst. He says the charity is also looking at alternatives to QALYs to demonstrate cost effectiveness. Despite the complexity of the environment described so far, this is still only part of the picture. There are many more developments in the field of NHS reform and in politics which can be factored in. The most immediate of these is the coming General Election on 7 May, the outcome of which is one of the least predictable in decades. Angela McFarlane warns that there are likely to be further major shifts in health policy – regardless of who forms the next government. A perfect example of this is the new devolution of power to Greater Manchester announced earlier this year by the Conservatives, which will see the region take on a new unified £6 billion budget for health and social care. Meanwhile, NHS England is pursuing a new ‘co-commissioning’ model with around a quarter of England’s 221 local CCGs – a shift based on NHS England’s lack of capacity and expertise in a number of services. Malcolm Qualie says this will begin in primary care, but will progress to include some specialist services. “Obviously there are big challenges ahead. The key for us is driving quality, but we need to understand what we’re spending our money on and what outcomes we’re getting,” says Qualie. There are many other initiatives which may have a major impact on market access – or indeed may not – such is the unpredictable nature of NHS policy. One example is NHS England’s Prioritisation Framework and Scorecard, a process the organisation was going to use to decide in which areas it should spend, and which areas it should disinvest in. 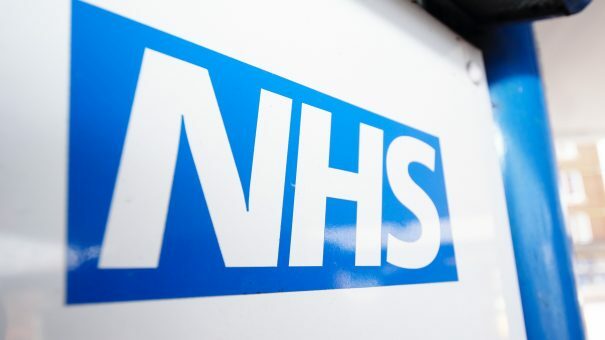 However a legal challenge to the Scorecard by one rare disease charity (the MPS Society) – because of a lack of transparency in the process – has sent NHS England back to the drawing board. The MHRA’s Early Access to Medicines Scheme, mentioned earlier, is hailed by both Angela McFarlane and Malcolm Qualie as a promising new avenue. The scheme sees the medicines regulator giving its scientific advice on an unlicensed medicine, allowing doctors to prescribe it under their own responsibility before it is licensed. The first drug approved under the scheme is MSD’s pembrolizumab for advanced melanoma. Finally, another potentially significant initiative is the Accelerated Access review (initially known as Innovative Medicines and MedTech Review,) instigated by Life Sciences Minister George Freeman. It is not entirely clear just how broad the review’s scope will be, but its ambition is to create a more rational, joined-up pathway for new medicines, from development through to market access. She is optimistic, however, and says there are some easy fixes. “For me those easy fixes for NHS England are around transparency of their process.